A. 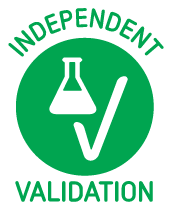 Measurement of A450 values for the standards provided with ABIN612665. B. Representative standard curve and 4-Parameter Logistic Fit. For this example, R2=0.9997. 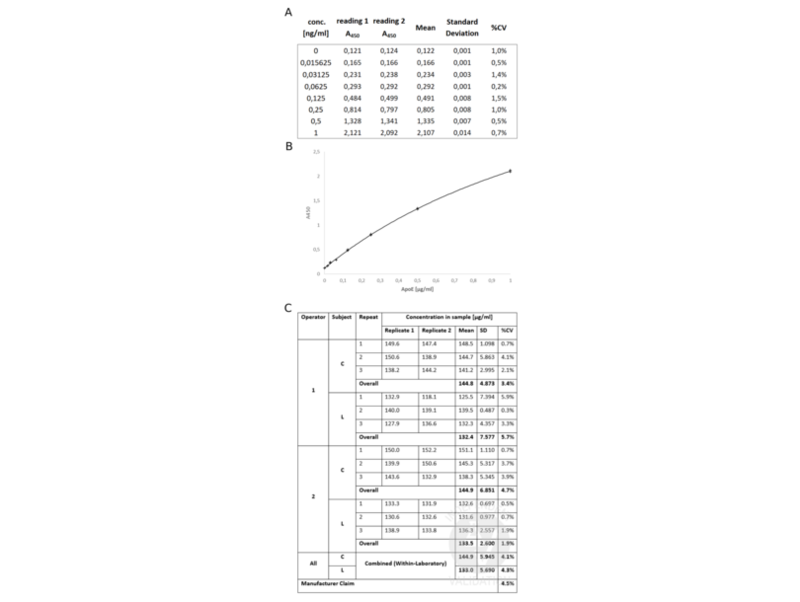 C. Assay Precision results in µg/ml. Three repeats with two replicates each were performed for two samples coded C and L by two operators. 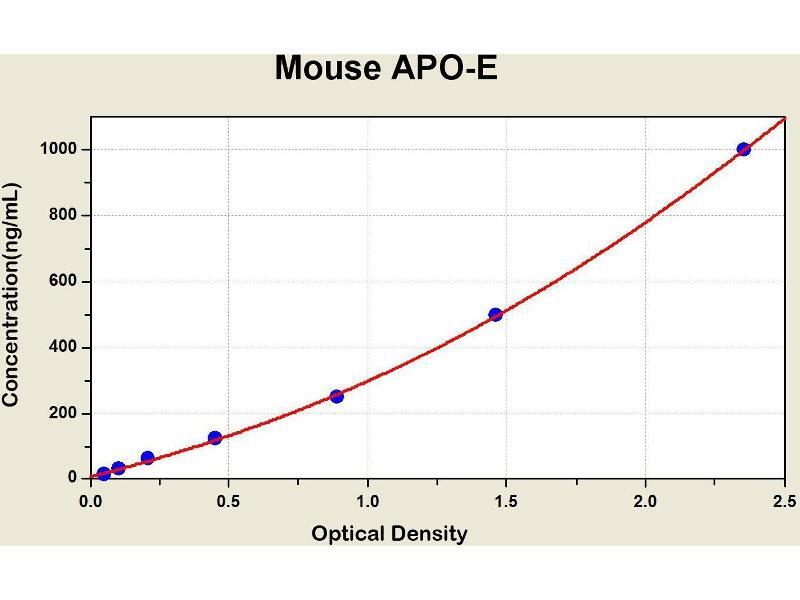 Diagramm of the ELISA kit to detect Mouse APO-Ewith the optical density on the x-axis and the concentration on the y-axis. 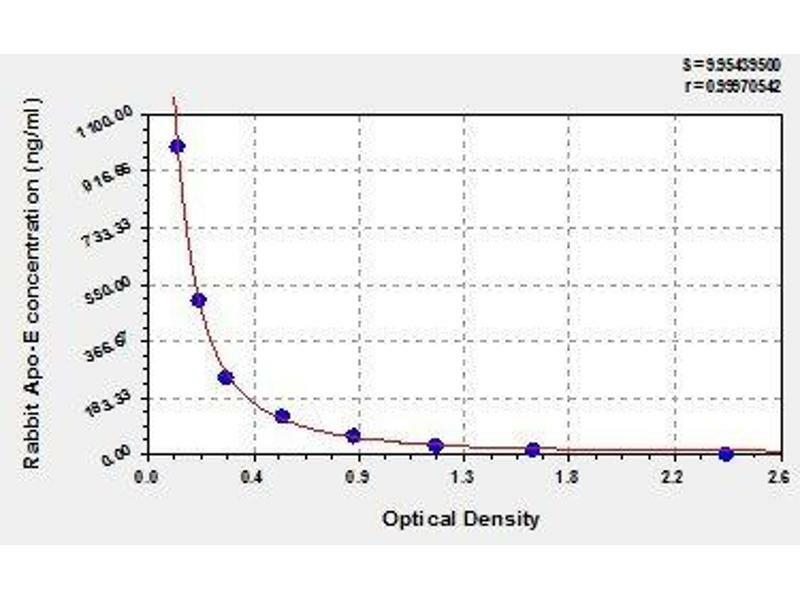 Diagramm of the ELISA kit to detect Rat ApoEwith the optical density on the x-axis and the concentration on the y-axis. Chylomicron remnants and very low density lipoprotein (VLDL) remnants are rapidly removed from the circulation by receptor-mediated endocytosis in the liver. 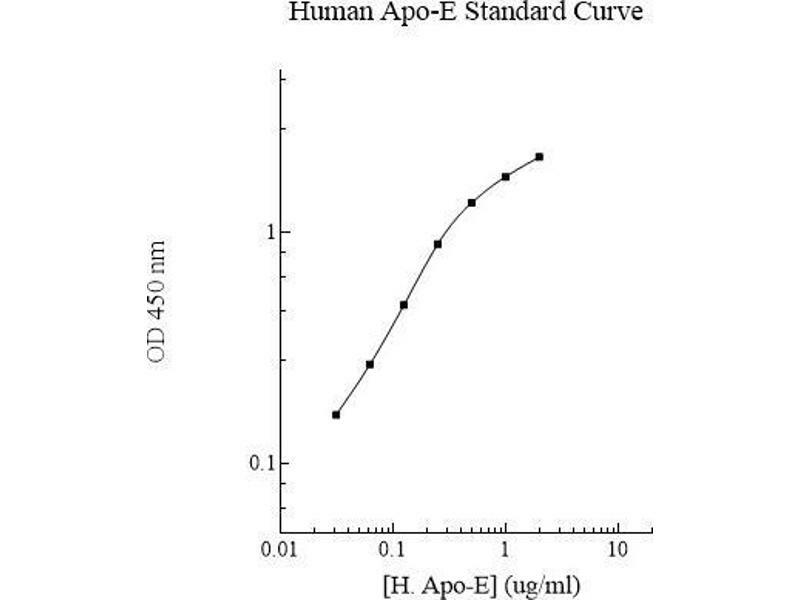 Apolipoprotein E, a main apoprotein of the chylomicron, binds to a specific receptor on liver cells and peripheral cells. 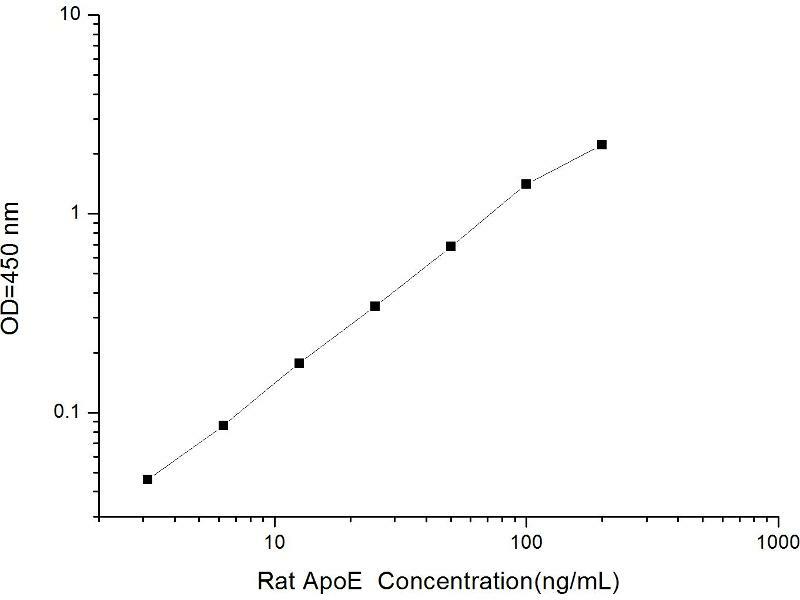 ApoE is essential for the normal catabolism of triglyceride-rich lipoprotein constituents. 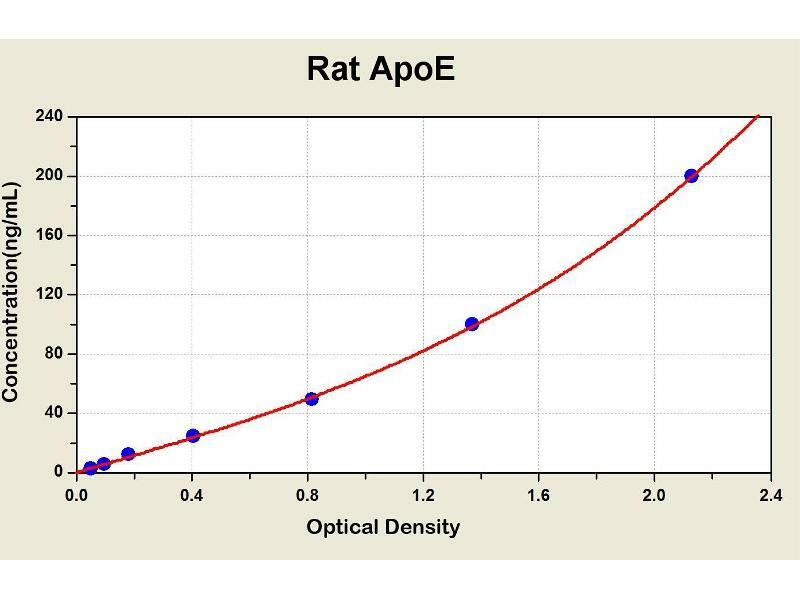 The APOE gene is mapped to chromosome 19 in a cluster with APOC1 and APOC2. 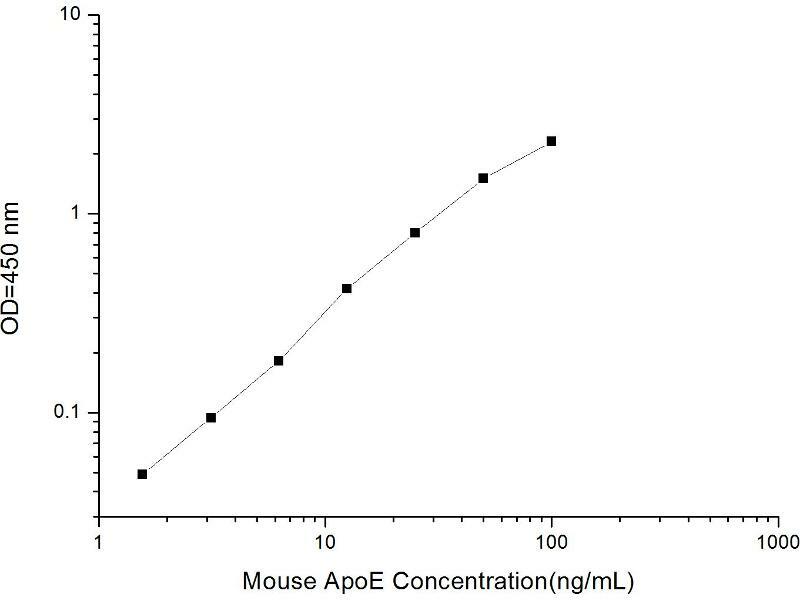 Defects in apolipoprotein E result in familial dysbetalipoproteinemia, or type III hyperlipoproteinemia (HLP III), in which increased plasma cholesterol and triglycerides are the consequence of impaired clearance of chylomicron and VLDL remnants.